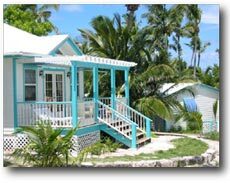 Ocean Front & Ocean View Cottages located in the heart of Hope Town, Elbow Cay, The Abacos. Enjoy your morning coffee to the gentle tune of waves lapping against the powdery white sand beach just outside your door. Use the Hope Town Harbour Lodge as your home base for your Bahamas vacation. You can venture out on snorkeling and SCUBA tours, visit the famous candy striped lighthouse, walk the romantic white powdery beaches, or simply relax by the pool in the warm sun of the Bahamas.